Last week, I turned 44 and it's time for my annual birthday trip. The decision on where to travel came quite easily - back to the Caucasus! I will depart for Tbilisi next week, spend a few days there, and then drive to Armenia. If you know interesting places in Armenia, colorful people, or any other facts you wish to share, please write in comments. If you missed my prior stories about Georgia, you can read them here, and there are still many which remain unwritten. Sorry for the very long absence from the blog. I am alive and well...and hope the same is true for my dear readers! Happy B-day! So it was love from the first sight then! Safe travel to you. Armenia should be interesting too. I went to Abkhazia once with my mom when I was a child. I still remember. It was very beautiful. We went to this lake Ritsa - far in the mountains, I've never seen anything like it. Like from a fairy tale. Thanks! :) Sure, it was love at first sight because I am always attracted to things and people that are different from me. :) And Georgia is quite different from the USA. I expect the same from Armenia, but let's wait and see. I would like to see Abkhazia, but I travel in this region with native Georgians - thus, it is not an option at this point. I hope it will be cold in the mountains, because here in Virginia we have had no winter at all. Today, we have spring temperatures of +23, and it has been this way for most of February. Very strange, and makes me unhappy! Happy birthday -- enjoy the trip! Thanks! I will enjoy, for sure! Great idea! Have fun, enjoy your trip! I do not know much about Armenia, so hopefully this will be a good adventure, and educational at the same time. Happy belated birthday! Have a very nice trip! Have a good trip! We looked with my wife photos of Georgia. Amazing and some day we will go there! This country is definitely worth a visit! I hope you get the opportunity to explore this land someday! II like other parts of ex-USSR, but Georgia is more soulful. As much as I know Armenians are not so friendly toward western people as Georgians are. I recommend the HyurService tour operator in Yerevan, they can help you a lot. I'm traveling with my Georgian friend, who is an independent tour guide and has explored Armenia many times. But thanks for the recommendation! "Last week, I turned 44 "
Happy Birthday! Every year is the best to see something new! "Sorry for the very long absence from the blog." Glad you are back from Facebook. What brought you back anyway? Boredom? 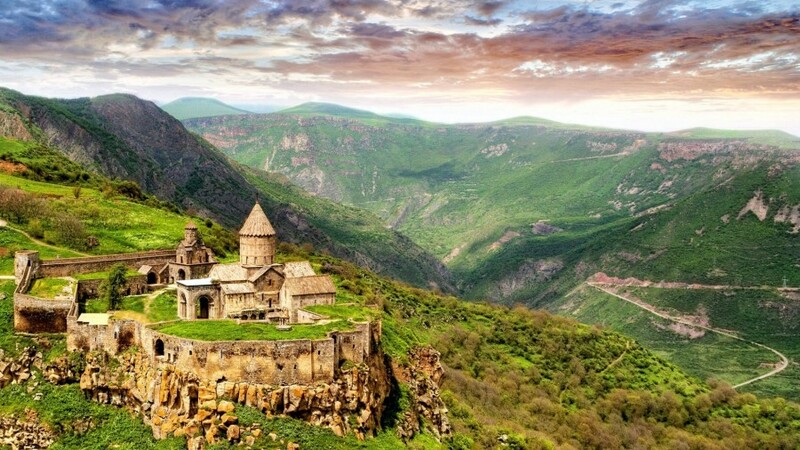 Do you want to travel to Armenia, Azerbaijan or Abkhazia? While in Armenia, you should sample some local cognacs. They are still viewed the best in all ex-USSR countries. According to legend, Joseph Stalin supplied Armenian cognacs to Sir Winston Churchill who loved drinking them. There are extremely tense relations between Armenia and Azerbajan. The two nations virtually hate each other. Avoid discussing with locals azerbajanians or status of Nagorny Karabakh. Thanks for the hint. I did not know this region was known for its cognacs. :) I'm aware about all the tensions between Armenia and Azerbaijan. And then there is Georgia, who sits peacefully between them.